Jay Johnson - If a man's home is his castle, then Vince Hannemann's castle is his home - and it's made entirely out of junk. In searching for an interesting, offbeat design-based video to share with our D2S readers today, I came across this Evan Burns short documentary about Vince, a.k.a. The Junk King. 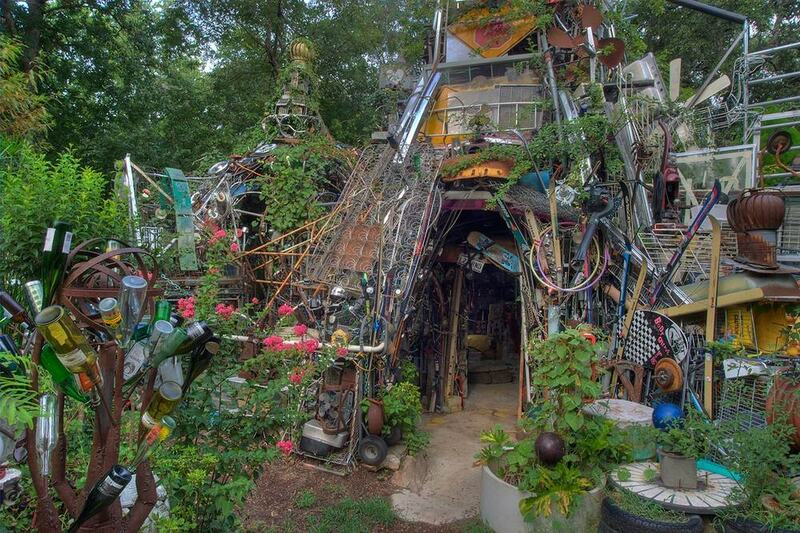 His Cathedral of Junk wrangled the nerves of normally blase Austin, TX neighbors, who object to (a) the junk, and (b) the fact that Hannemann's installation is visited by over 10,000 visitors a year. The surrounding land was once rural, but it evolved into a subdivision, and it seems many of the newcomers didn't like the installation nearby. Tons of junk were torn down, and half of the Cathedral declared unsafe by the city of Austin. Click here to read his story, and enjoy the mini-doc where you can tour what's left of his now-safe junk installation (once again open to the public).